The criminal justice plays an important role in ensuring public order and personal freedom. We live in the society full of crimes and evil things, thus, the criminal justice should protect us. At the present time, there are many criminals who commit crimes and go away with it. However, people committing crimes should be responsible for them before law and society. The word “law” is always associated with the notions of regulations, statutes, and legislation. There is a stereotype that law always defends public welfare and the public good. However, the modern juridical system is far from perfect. It does not try to solve the case without damaging people’s lives. It does not try to find the evidence for solving the problem. It only violently punishes without caring about justice. At the present time, we deal with the problem of increasing crime rates among young people. The low age of criminal responsibility may be the result of increased number of criminals in our society. At the early age, children are not conscious of their actions and very often, they do not distinguish between what is good and what is wrong. However, from the ethical point of view, people of all ages should be responsible for their actions, either good or bad. Raising children, parents should play the main role in disciplining and following laws by their children. There should be a connection between children, parents, teachers, and police. The aim of parents is to raise and discipline their children. The aim of the teachers is to teach moral qualities and ethical principles. The aim of police is to coordinate the behavior of children with the help of correctional programs. 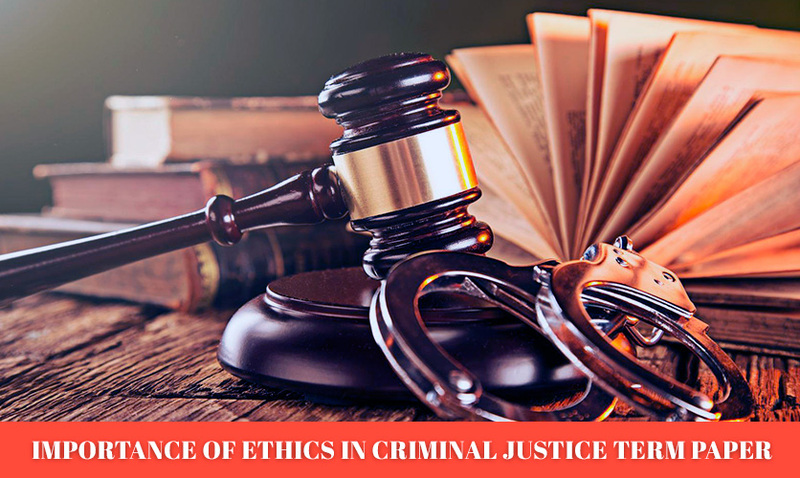 In order to improve criminal justice, it is necessary to involve ethics as an important aspect of criminal justice. Ethics is one of the most important aspects of criminal justice and security management. Criminal justice should be based on the deontological and utilitarian ethical and moral principles. Utilitarianism is the idea of moral preferences and actions in the interests of others. It is one of the powerful and persuasive approaches in philosophy. Utilitarianism implies morally right actions. It supports the ideas of making good to other people. Utilitarian ethics determines moral principles of an individual’s behavior. On the other hand, deontological ethics is the idea of following certain rules and duties. It defines right moral choices in terms of what is permitted, required, and forbidden. According to deontological philosophy, when a person follows duties, he/she behaves morally (Singer, 1995). Without the doubt, criminal justice and security management are the branches that demand moral behavior more than other professions. Criminal justice should follow certain ethical and moral norms. However, it is a pity that in many cases, criminal justice ignores the illegal behavior of the individuals and does not regard their acts as a crime. It is ridiculous that criminal justice authorities can decide the destiny of another person and charge him/her of something when their own acts are not good examples for following. Our society suffers from bad judiciary system that does not struggle for justice but causes new crimes. There is the saying that the rules exist in order to be violated (Thomas, 2010). As to police crimes, they happen very often. Police crime is an abuse of power. They can be organized, occupational, and corrupted. Such crimes are characterized by the violation of rights, excessive use of power, illegal acts, etc. 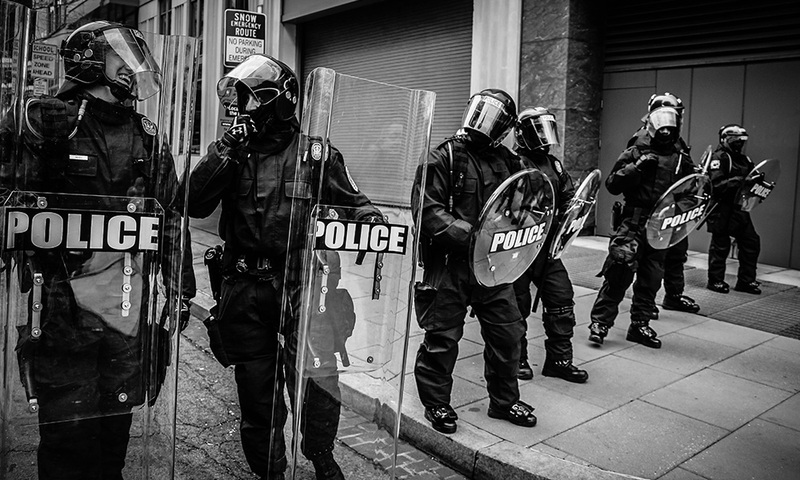 Torts committed by police officers are also supposed to be an excessive use of power. Thus, ethical principles are violated and ignored very often, therefore, there is so much violence in our society. Another ethical dilemma of criminal justice is connected with raising the age of criminal responsibility. It may lead to complete degradation of young people. Criminal responsibility may be not only the way of punishment for the illegal actions but also the start of degradation of moral and ethical values. Criminal responsibility should come at that age when children are intellectually, emotionally, and mentally mature. Looking at the age of criminal responsibility in the different countries, one may say that it greatly differs and depends on culture and religious views. In modern society, while determining the age of criminal responsibility, one takes into consideration psychological, ethical, and moral aspects of criminal responsibility. However, every person reaches an emotional, mental, and intellectual maturity at the different ages; therefore, criminal justice cannot be adapted for every person. It is known that if the age of criminal responsibility is too low, criminal responsibility becomes meaningless, and one cannot be sure that the person will not repeat a crime. The biggest ethical dilemma of raising the age of criminal responsibility is that it may lead to moral degradation of society, and young generation is likely to become criminals. Determining the age of criminal responsibility, criminal justice authorities should do their best in order to shorten the level of violence and crime among the young people. It is evident that the ethical dilemma concerns not only young people committing crimes but also criminal justice that punishes for the crimes. Speaking about ethical issues, it is necessary to say that they contradict criminal justice. Ethical and moral principles always give the person a chance to admit his/her mistake. However, if one commits a crime, according to law, he/she will be punished through fines, community work, or imprisonment. Young people who violate the law should receive fine or do community work. As to imprisonment, it may negatively influence the formation of young personality. Critical thinking plays an important role in controlling professional behavior. It is an ability of a person to objectively judge one’s actions. This purposeful and reflective judgment also proves ethical and moral principles of the personality. Without the doubt, professional behavior in criminal justice demands making decisions, solving problems, and judging, that is why critical thinking is an essential aspect of professionalism in the sphere of criminal justice. Critical thinking and ethics are interrelated and interdependent as critical thinking defines objectivity, while ethics defines the norms of moral conduct. The absence of critical thinking may lead to the violation of moral and ethical principles. In professional sphere, especially criminal justice, critical thinking and ethics are vital. Ethics is the very important aspect for police officers. It defines wrongness and rightness of an individual conduct. Ethics implies following the moral rules; it criticizes violation of rules and abuse of power as well as requires police officers to make the right decisions. Ethics and professional behavior are the base for criminal justice and security management. One should regularly conduct the seminars in ethics training for law enforcement officers. These seminars should be based on the questions of ethical and moral character. First of all, seminars should teach how to recruit officers. Secondly, they should be devoted to ethical standards. Thirdly, they should help to define unethical behavior. At the seminars, I propose to discuss such issues as racism, cultural diversity, public trust, sexism, corruption, lack of values among new officers, personal moral values of officers, honesty, abuse of force, abuse of authority, poor work ethics, lack of sense of responsibility, etc. Law enforcement officers should follow Code of Ethics. During the seminars, one should pay the most attention to serving people, safeguarding life and property, protecting the innocent from deception, and struggling against violence and disorder. The most important areas of ethical conduct are faith, responsibility, honesty, respect, and altruism. The only person who owns these qualities can administer justice. Nobody denies the fact that judges must be models for following when it comes to their personal and professional lives. In terms of personal life, his/her moral qualities, attitude to people, and behavior are taken into consideration. As for the professional life, we mean his/her knowledge of the affair, respecting the law, ability to be just, making right decisions, competence, punctuality of decisions, avoidance of conflicts, and personal interest. The case of Jeffrey MacDonald was full of ethical violations such as not investigating the case till the end, ignoring the relevant evidence, not taking into consideration the words of MacDonald who witnessed the terrible event, etc. Police officers whose children were under suspicion tried to hide the evidence, and this was the violation of ethical norms of criminal justice. Existing evidence was rejected, lost, destroyed, misrepresented, and suppressed. One can guess that police did everything in order to accuse MacDonald of this crime (Meroney, 2013). MacDonald was not guilty; he suffered from imperfectness of juridical system and criminal justice. This case proves malfeasance of the investigation. There were many hearings of this case, but they did not help to investigate this terrible crime. Another unethical situation connected with criminal justice was the historically known case “the Dred Scott Decision.” Dred Scott was the slave, one of the abused and humiliated people who did not know what freedom was. He experienced suffering, pain, cruel treatment, awful thralldom, and violent attitude of the hateful slave owners. Dred Scott was known for suing for his freedom and the freedom of his wife and daughters. It was the famous case being an attempt of the slave to get the freedom. In this case, ethical problem of racism is concerned. The story of Dred Scott’s life shows that the government has not followed laws but imposed the ideology of racism. It is difficult to settle the issues when two sides become emotional and follow their own ideology. Where there is the ideology of racism, it is difficult to solve the problem, and it is impossible for the slave to defend his/her rights. The obsession with any kind of ideology has the bad influence on our society. It is necessary to say that ethics is one of the most important aspects of criminal justice and security management. Logically, ignoring ethical rules can lead to the negative results and degradation of society. The criminal justice plays the important role in public order and personal freedom. The modern world is abundant in crimes and evil things, that is why criminal justice should defend the society from them. At the present time, a great number of people who commit crimes remain unpunished while they should answer for their act breaches before the law. There is no doubt that the modern democratic state of the law is designed primarily to protect the rights, freedoms, and legitimate interests of citizens and society as a whole, as well as the constitutional order of the state and other significant social aspects. Nevertheless, quite often, that states cannot protect their citizens. Police Chiefs Desk Reference. (2003). Police ethics. Meroney, J. (2013). The Devils in the details: Errol Morris on the Jeffery MacDonald case. The Atlantic. N.a. (n.d.). The importance of ethics in criminal justice. Tavares, C., Thomas, G. (2010). Crime and criminal justice.